You could never accomplish today what John Mackey and Renee Lawson did in 1978 Austin, Texas. The college-dropout couple opened what would eventually become Whole Foods, which Amazon bought in August for $13.7 billion. Many criticized the natural food marketplace for “selling out” to Amazon, and feel that the company might ditch its morals in favor of lowering cost. 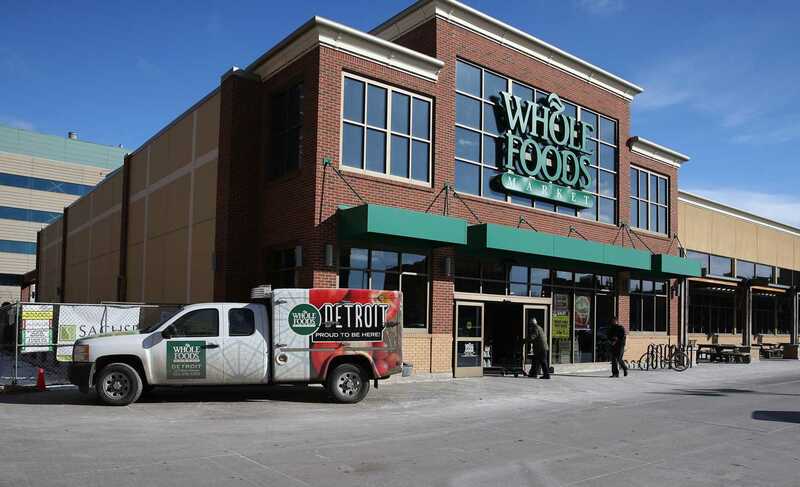 But this acquisition should come as no surprise — it’s just one in Whole Foods’ long history of mergers and acquisitions that made the natural food supermarket what it is today. In fact, the combination of Whole Foods’ producer-concerned ethos with Amazon’s technical, consumer-oriented expertise has the opportunity to bring healthier, more environmentally friendly and traditionally unaffordable food to the tables of more average Americans. In Whole Foods’ history, the company has merged with or acquired 14 different companies, and admittedly the company’s motto — “Whole Foods, Whole People, Whole Planet” — seems elegant. But there’s a reason many choose to take some creative liberties, dubbing the store “Whole Paycheck.” Perhaps as a response to rising prices or accusations of gentrification in places like Pittsburgh, Whole Foods customer traffic fell by 3 percent from 2015 to 2017. But that soon may change. The Amazon acquisition slashed prices on a variety of staple products, with The New York Times reporting a savings of 14 percent. Before the merger, Whole Foods began trying to shake their “Whole Paycheck” nickname, with their own line of cheaper products, 365 Everyday Value goods. Now, those goods are the cheapest. A 2015 study shows organic food only requires a 5 to 7 percent markup to break even with conventional food profits, mostly because of increased labor cost. The new change gives Whole Foods the chance to connect consumers with the best possible price — a certain benefit for consumers. But of course, this raises the question — how are suppliers affected by all of this? Whole Foods traditionally supports small and midsize producers, and a representative told The Washington Post that the company plans to continue to do this. But some are more hesitant — Scott Marlow of Rural Advancement Foundation International, a farmer advocacy group, told the Chicago Tribune that many farmers are concerned about what will happen after the acquisition. A serious ideological dilemma between Whole Foods and Amazon is what scares most suppliers. Whole Foods is known for emphasizing regional sourcing — the company has given more than $14 million of its promised $25 million in low-interest loans to “independent local farmers and food artisans.” Compared to Whole Foods, Amazon is hyper-focused on efficiency — the company is widely praised for their cheap and fast shipping, a result of a seamlessly coordinated network of shipping and information. This conflict of methodology could result in one of two things, it appears. If Amazon’s mentality wins out, shelves would flood with cheap, imitation-organic food. It might be imported, or shipped from the other side of the country or produced without adherence to the fair labor standards Whole Foods practices. With Amazon, nobody knows — and for small farmers and producers, that’s a scary thought. But if Whole Foods’ mentality proves victorious, the brand might just afford itself the opportunity to upend its image — vital at a time when the brand is under fire in cities like Pittsburgh and New York. Crucial to changing this image is real change in Whole Foods’ accessibility. It cannot be a one-sided effort — the only way for real change to happen would be if Whole Foods’ commitment to small and midsize producers stays strong while the prices of goods go down. It sounds simple in theory. But hopefully Whole Foods recognizes the unique opportunity it has to keep communities healthy for cheap — after all, healthy people make happy people.